We are celebrating Banned Books Week with a display of frequently challenged books in our collection. 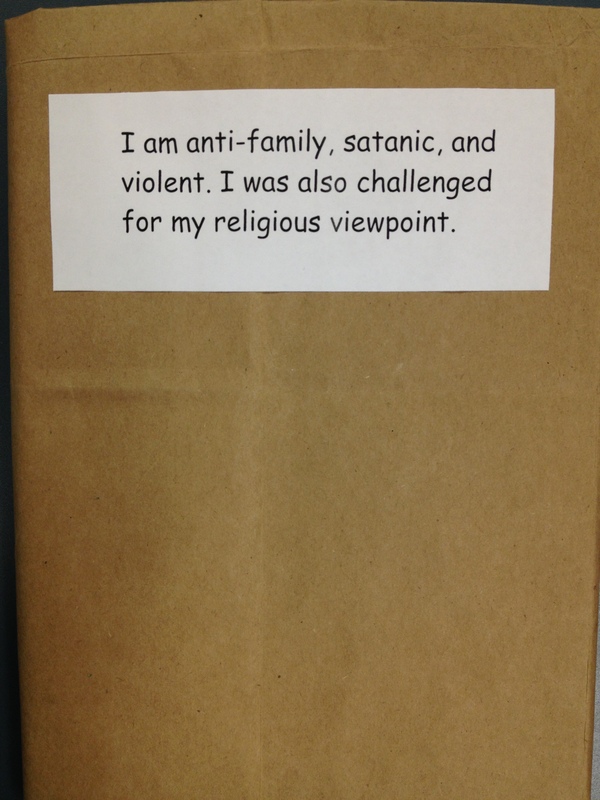 Please come by and take a look and see if you can guess the book from the reasons it was challenged. We want to hear what you think about these books, so you can write your own thoughts on the back of the covered books. If you want to find out more about the books that have been challenged and/or banned, check out the top ten most frequently challenged books for 2011. There’s also a slideshow of significant challenged and banned books from the past 30 years that is really interesting.